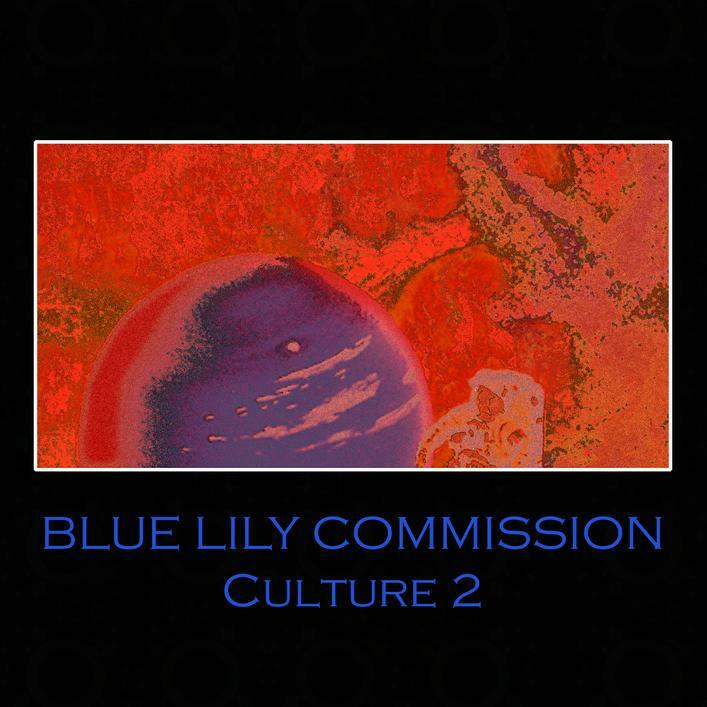 Hot on the heels of the In Dub EP, which consisted of Dub enhanced remixes of tracks from various albums, Steve Palmer is back with a new full length Blue Lily Commission album. Except for guests on two tracks, Steve created these cosmic constructions himself, utilizing an arsenal of analogue and digital synths, bass, flutes, saz, xylophone and percussion. I love the mind-bending Space-Prog keys on the title track, which soar, hum and drone, at times reminding me of Eloy. And the percussion clatters and jangles at a steadily off-kilter yet grooving pace. Saz P’zaz lays down a deep space rocking flow, with its phased and pulsating pied piper cosmic synth melody, sounding like a cross between some 60s movie soundtrack and a lysergic Turkish bazaar. And speaking of pied pipers, Flute One and Flute Two are brief interludes that feature a hypnotic flute melody over floating waves of electronic space. Alan’s Psychedelic Supper starts off as pure floating dreamscape, with lightly jamming sitar by Alan Brown. Then near the 5 minute mark it starts to rock out with a cool grooving shimmer, and the sitar and synths take off into a spaced out ethereal tour of the most alien of Arabian Nights. Bamboo Ballyhoo includes additional synths by Mooch alumnus Garry Lewin. The music beautifully blends synths and flutes, and has an eerily mesmerizing symphonic vibe but rocks out too. And the rockin’ continues on the closing track, Culture 3, with keys that sound like Rick Wright gone deep into the cosmos. In summary, this is Space Rock at it’s most magic carpet ride spellbinding.